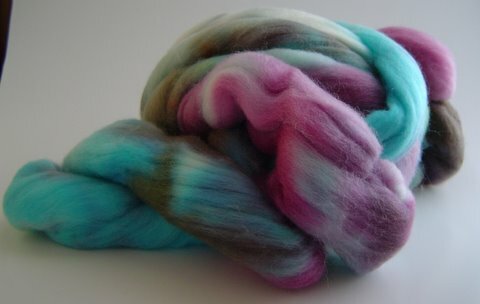 Dyed by AllSpunUp in my fave colors. 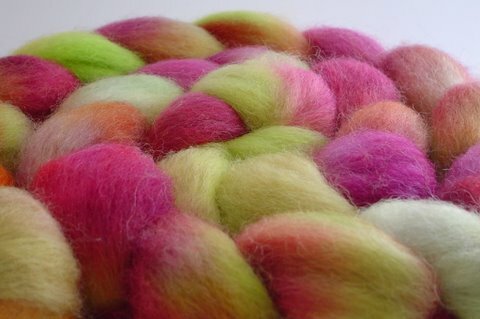 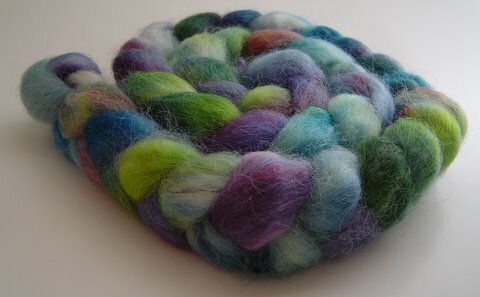 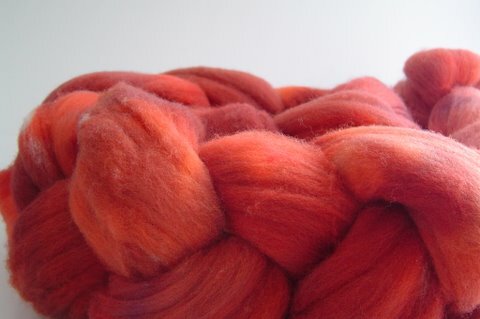 Her hand dyed fiber is so distinctive but I’ve only once before bought from her and that ended up in my handspun shawl. 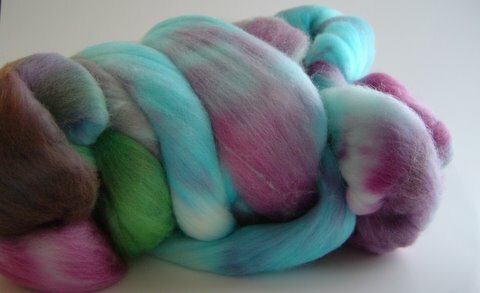 Before then, I loved her reclaimed/redyed yarn. 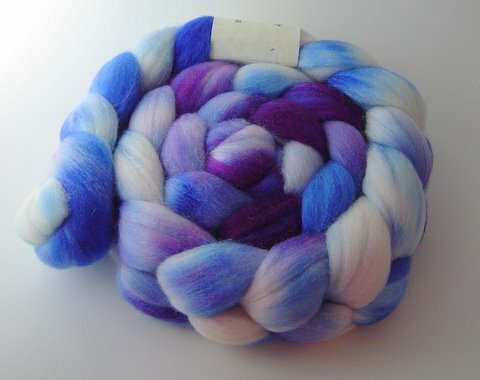 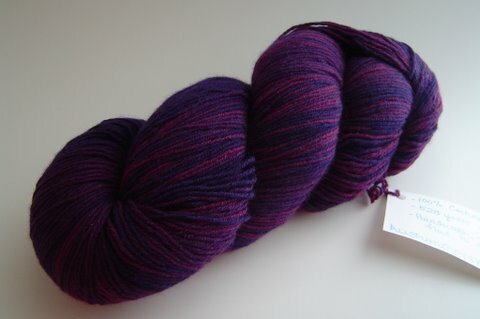 I have an awesome skein of cashmere (Yes, blue & purple) that I haven’t used yet. 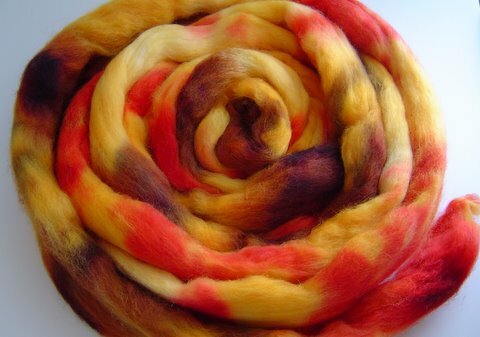 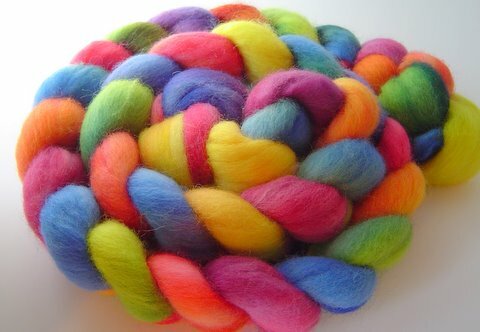 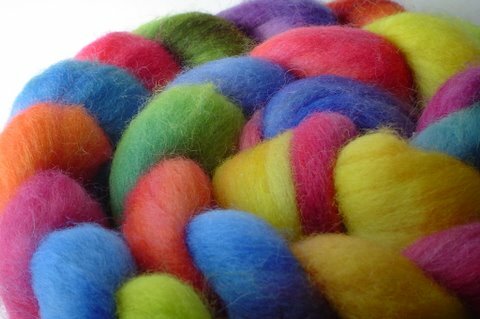 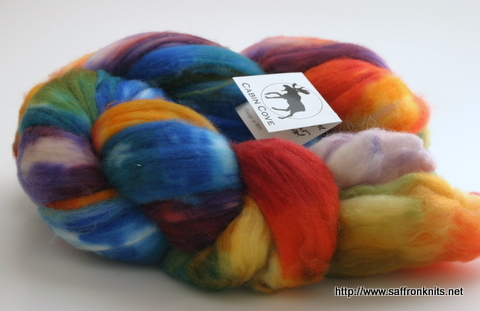 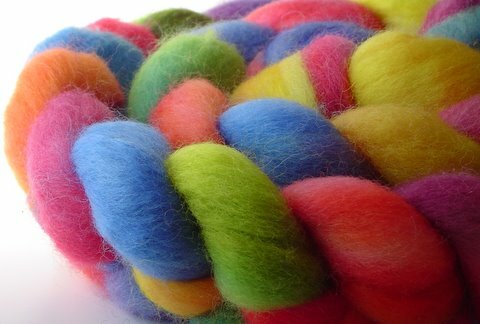 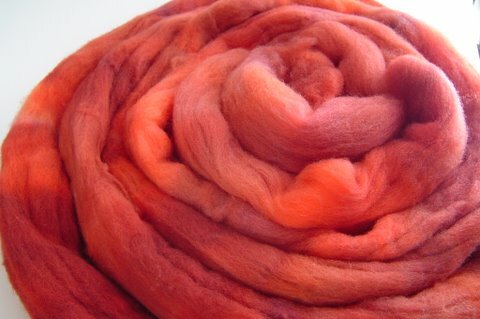 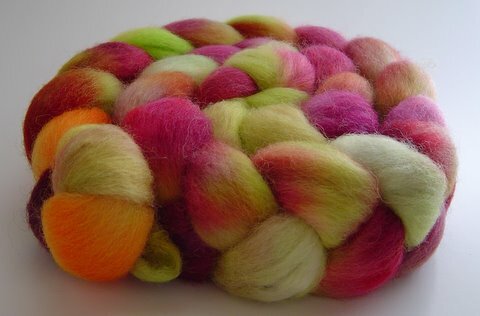 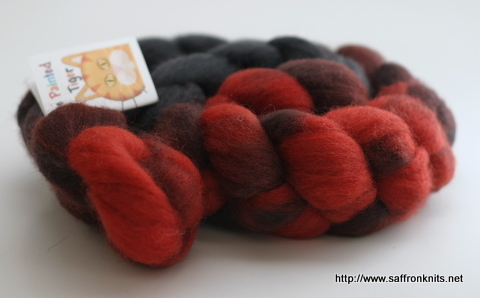 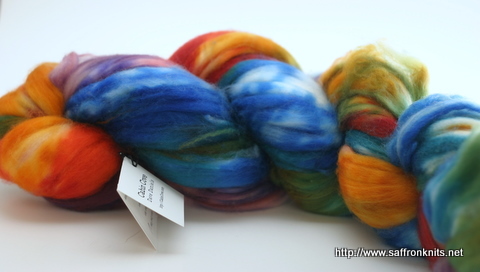 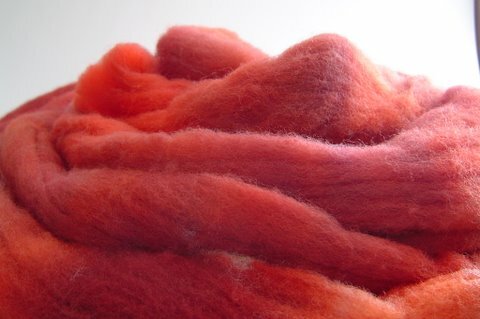 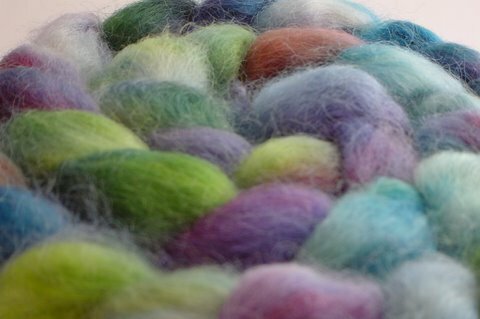 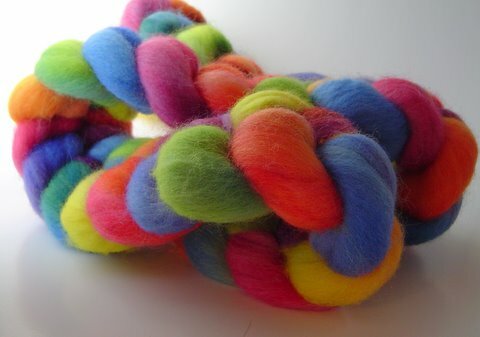 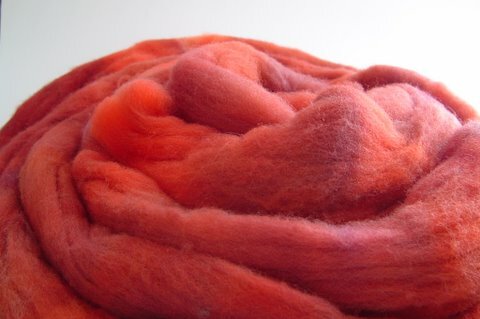 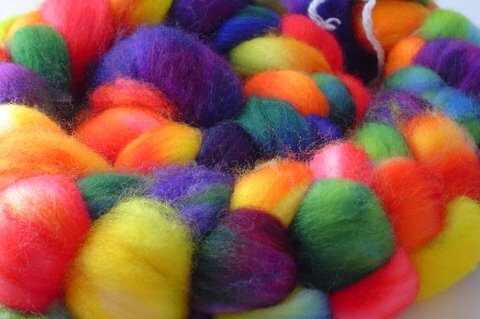 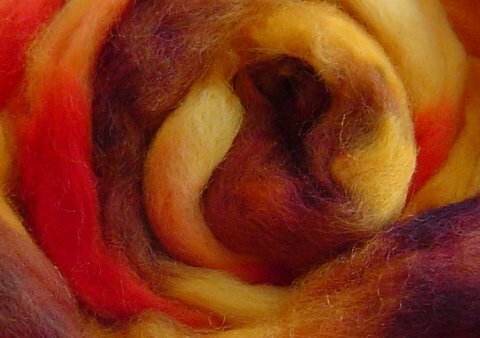 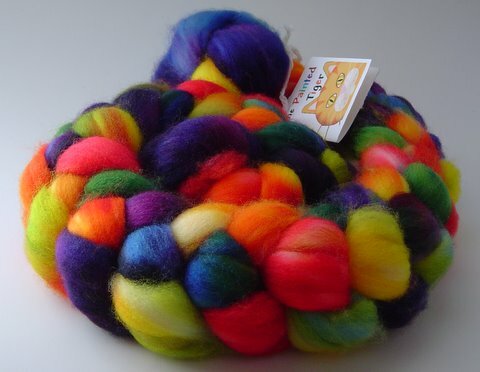 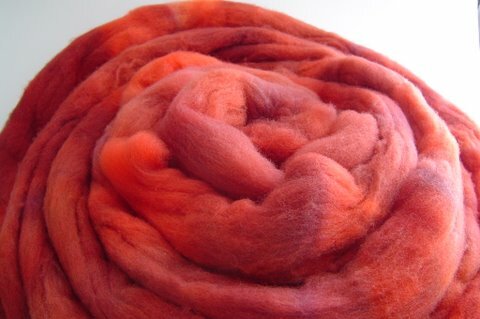 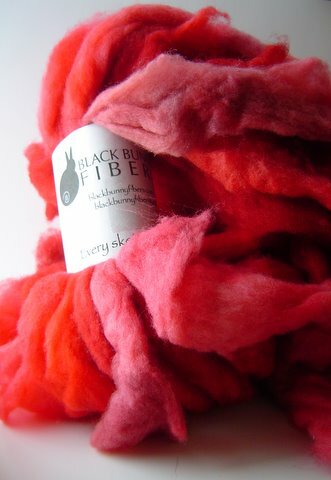 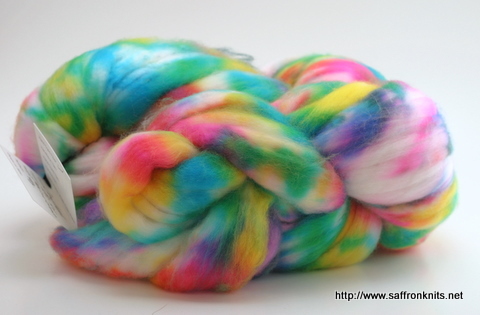 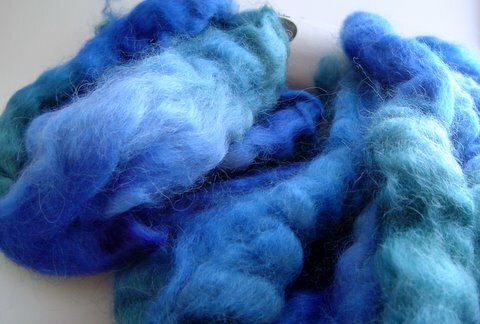 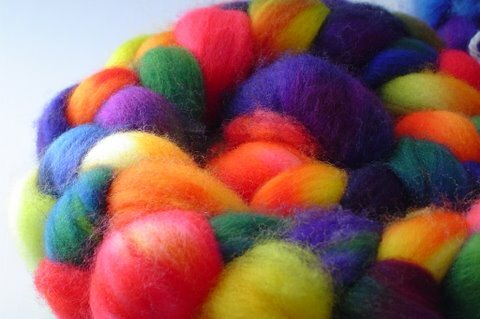 The fiber is 80% Merino & 20% Silk. 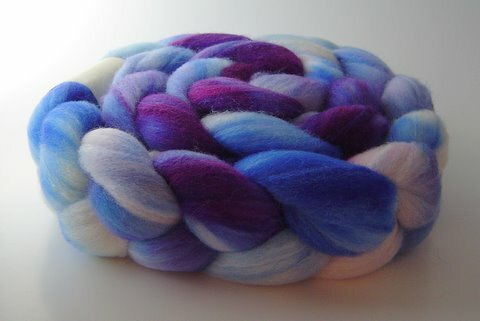 I can’t wait to spin this up! 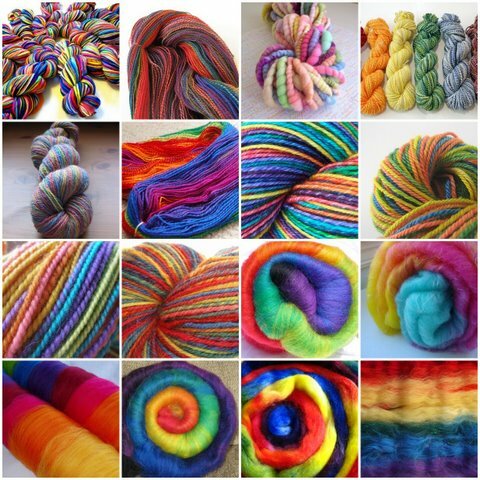 Stay tuned for more stash enhancements. 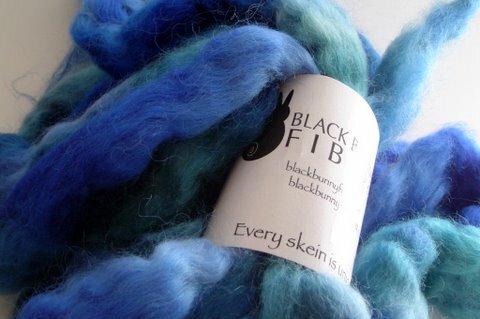 The next few posts are gonna catch you up on some of my fibery happenings …..
Over the last few months, I’ve received some lovely fiber in the mail… wanna see?